The Water Ionizer industry is chalked full of confusing information. They often throw around machine specifications and technical jargon that needs to be dissected and explained in order to be understood. 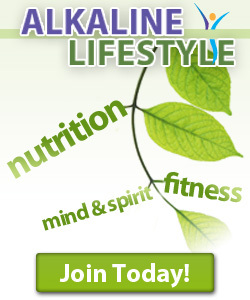 Learn about what exactly Alkaline Water is here. We’ve already discussed what alkaline water is, and touched a little bit on how it’s created – but that information is unimportant unless you understand the positive health effects it has on your body. Just as Alkaline Water is formed through the process of electrodialysis, so is acidic water. It can often be referred to as the “waste” or “leftover” in the process, but it’s actually not a waste at all. Read more to learn about the effects and uses of acidic water. As it has been said, acidic water is not for drinking, but actually has numerous useful applications for your body and around the house. Water ionizers that use the process of electrodialysis produce acidic water which is usually discarded down the drain. ORP stands for Oxidation Reduction Potential, or more simply put: the measure of a machine’s ability to generate antioxidant properties in water. A Water Ionizer performs two major functions: filtering and ionizing. These two major functions produce a laundry list of health benefits, but it’s useful to understand how they are achieved.